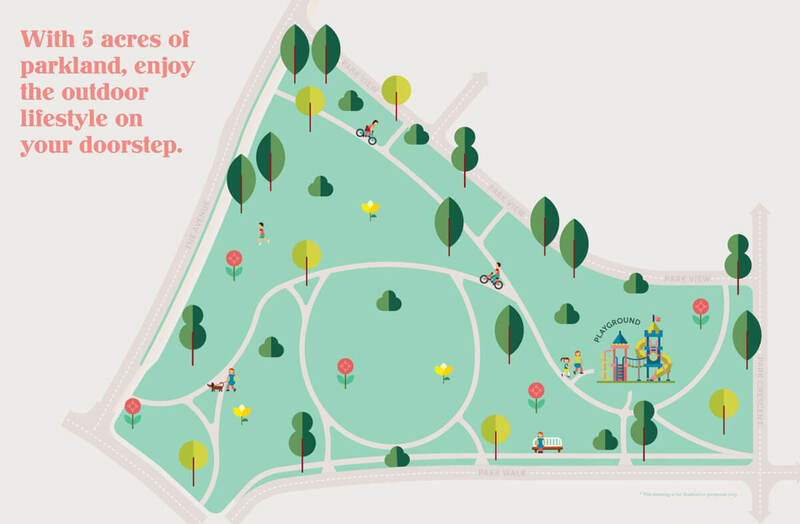 Park at Hansfield is a new development of 3 & 4 bedroom family homes in Clonsilla, Dublin 15. 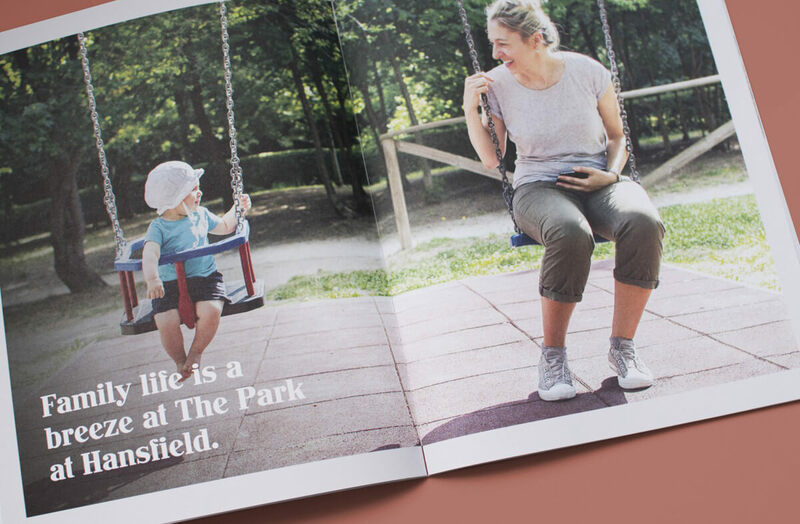 The developer approached us to help create a brand that was young, vibrant & fresh to appeal to young families and first time buyers. 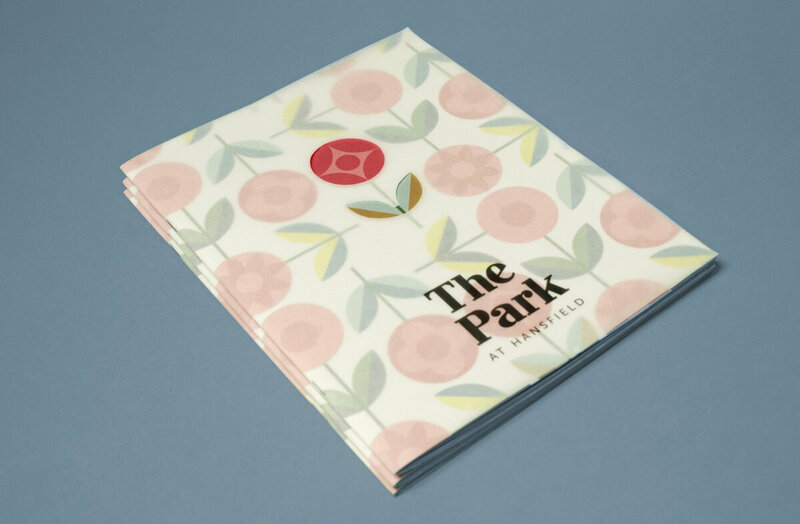 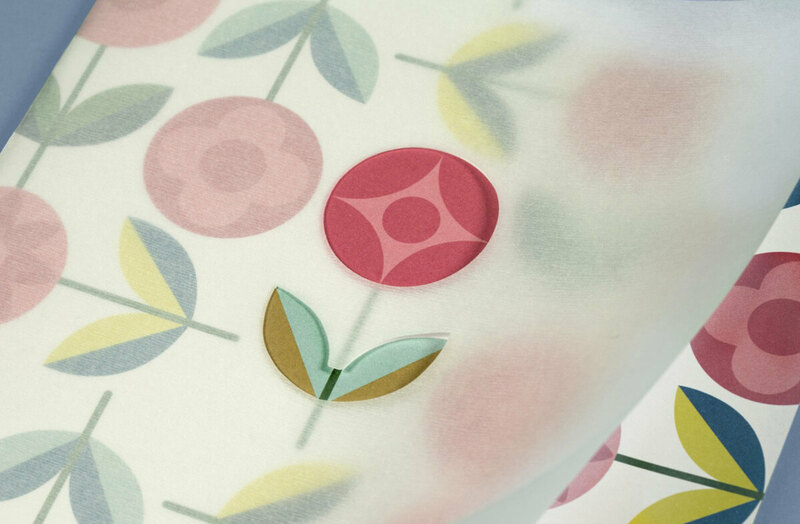 A large community park features within the overall design of the development and this led the look & feel of the identity design to include a floral, geometric style pattern. 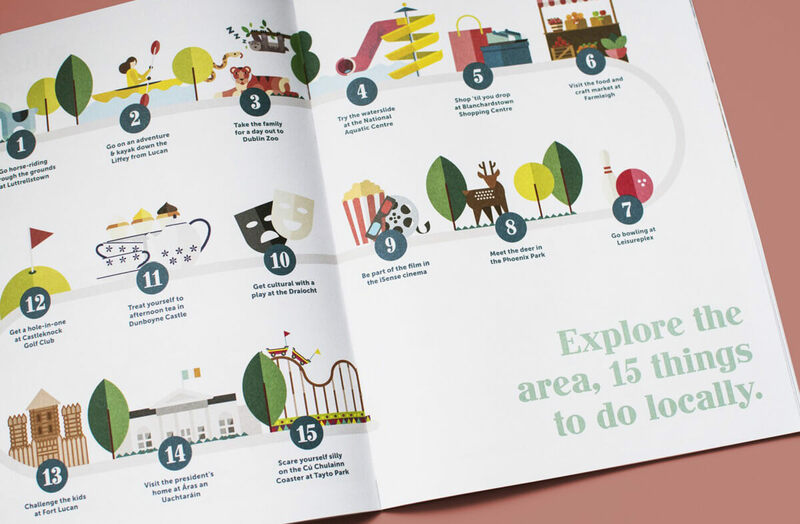 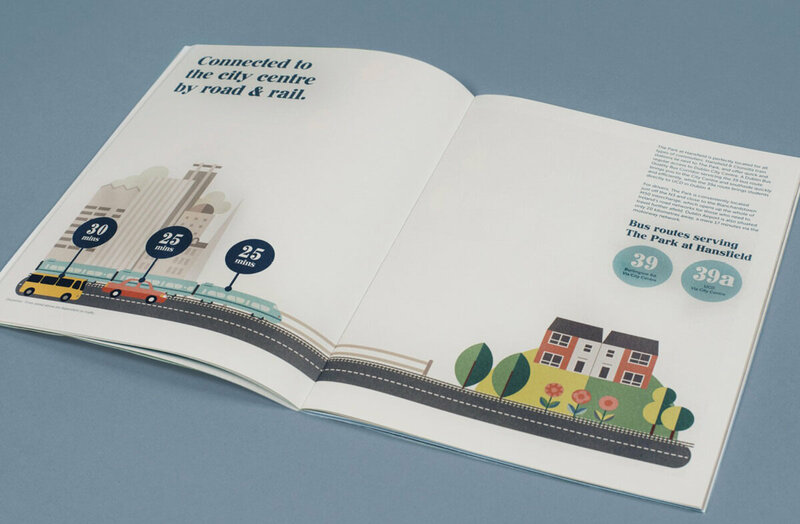 This illustration style has been carried throughout the brochure design and other brand collateral.